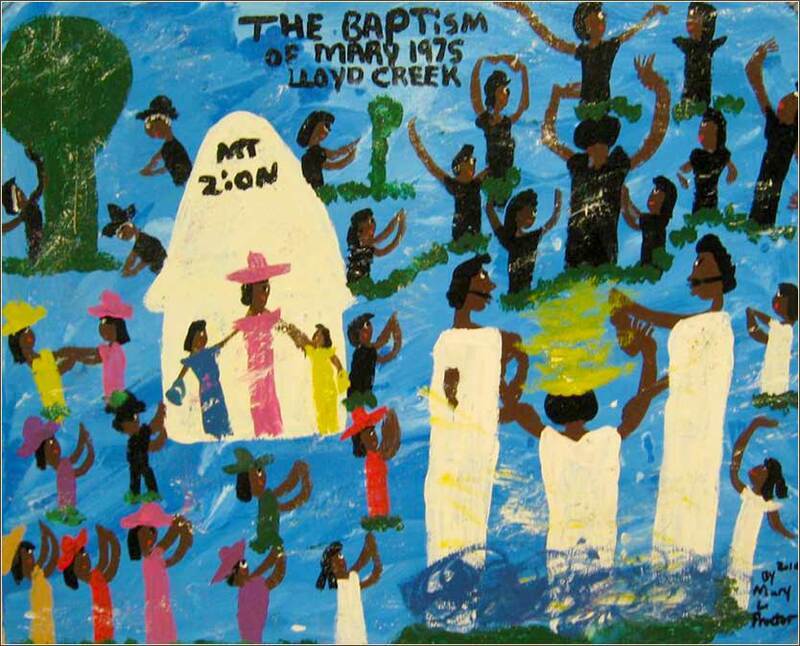 The Baptism of Mary 1975 by “Missionary” Mary Proctor, contemporary. Our “Virtual Sunday Church” this week takes us to a Russian Orthodox Church, for a profound and moving rendition of the Lord’s Prayer. Meetings of the early church in Corinth must have been a madhouse. At least several people would talk at the same time, some of them giving personal revelations, some of them giving prophesy or teachings, while some would speak in tongues and, apparently, more than one at a time, with no attempt to “translate”. Today's passage has little to do with theology. Someone with authority simply needed to set down some guidelines of basic group meeting protocol. 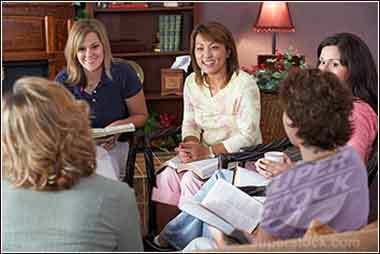 What has changed, and possibly for the worse, is that in these early Christian meetings, the congregation did not sit passively, without any active participation except to sing an occasional hymn (in most cases, barely audibly) and to pray en masse following a printed text, or listen to someone else pray. It is easy to see that individual action by personal initiative would be unworkable in a large congregation. But unless we have a smaller “Sunday School” class, or a prayer group, or something of that nature, we can go our entire lives without ever witnessing to our faith in public. This is an odd sentiment to express on an internet devotional site where, by the very nature of the medium, we cannot interact with each other face-to-face. We encourage everyone to register, log in, and say whatever moves them in the Comments section of Daily Inspiration (link below).